Military Tattoo’s are much admired as they represent a display by the armed forces to their rulers of the strength of their militia. This generally takes the form of an exemplary display of marching bands, reinforced by a powerful sound, light and video show. 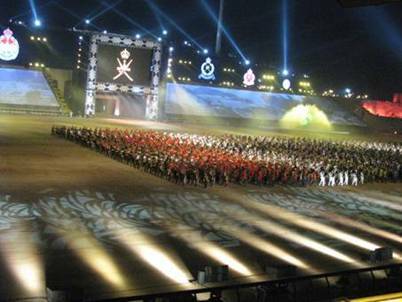 The Oman Tattoo is held every five years and is unquestionably the biggest event for the Oman government. So when Wizcraft entrusted SOUND.COM to provide the complete sound design & equipment after our successful job at the Commonwealth Games, we steadfastly shipped two containers of audio equipment on our maiden voyage overseas providing total audio solutions and not just engineering solutions, like we did in the past. That is why this was a milestone event and will go down as SOUND.COM’s first international show. 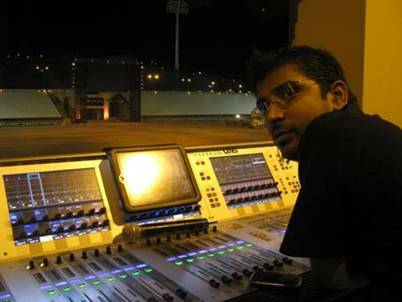 With all the experience gained from the Commonwealth Games it was a matter of successfully redeploying a winning formula for the sound design at the Al Fateh stadium and systems integrators Sunil Karanjikar and Warren Dsouza knew that our biggest challenge would be the ability to manage over 56 channels of wireless and 16 gun mikes across the periphery of the ground, with a lot of audio patching and routing, would only be possible using ‘Optocore’ one of the most revolutionizing fibre optic transport mechanisms for audio and control. 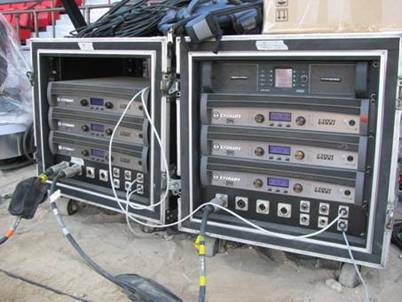 We therefore built 4 node racks consisting of Optocore and ancillary equipment on the field of play to drag and drop audio signals in any permutation and combination. We were able to do this as we ran all the audio digitally across the entire stadium and also had an analogue back-up system in place too. Our network engineer Jason Macwan’s objective was to have remote control & monitoring of every key piece of equipment. 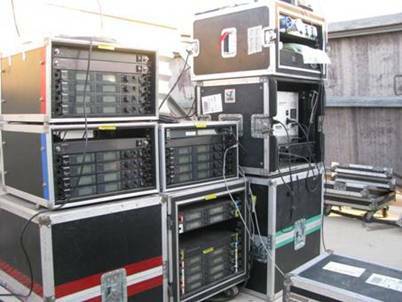 He used and entire network of HP Procurve L2 managed switches with multimode GBIC fibre optic ports to remotely control Shure Wireless microphones, Sennheisers In-Ears, APC UPS management, Harman’s Systems Architect and Dolby Lake Controllers. We had total command and remote management of all our equipment. This level of control was pivotal to the success of this project as we were able to distantly monitor and control all the parameters of the signal processors, wireless devices and power amplifiers as we were not given any walkie talkie access to work in the field. All the Optocore audio and HP Procurves control signals was transported on custom made 6 core multimode tactical fibre optic cables and we ended up using 2.2kms of fibre optic cabling. While we wired the entire system we just shook our heads as to how would this be possible on regular copper cable for audio and Cat5 cable for control. The stadium runs were so long that we had even 2 fibre cables as long as 500 metres across the huge Al Fateh Stadium. 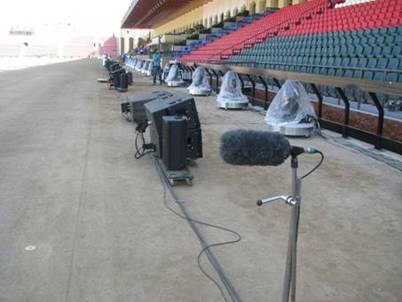 The field of play loudspeakers were a combination of VT4888 & VT4887 with VT4880 speakers in the stadium stands and VRX915M and SRX712M as field of play monitors. They sounded extremely good being driven by the AES inputs of the ITech HD12000 and LabGruppen PLM10000Q. 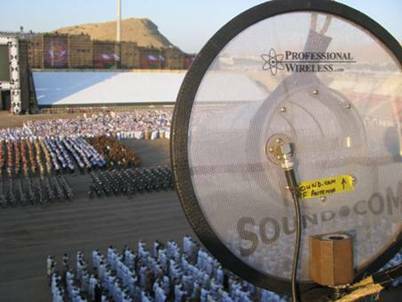 We also used an entire array of White Control 25AV loudspeakers for the Royal box that were hidden into the flower beds as the Royal Oman Police did not want to see a single loudspeaker in front of his Majesty. Thank heavens the Control 25AV’s are waterproof and despite the regular watering the flower beds we managed to have our speakers still safe and sounding good..
All this was possible as our team worked diligently and no matter how much we speak about the technology used on this project. 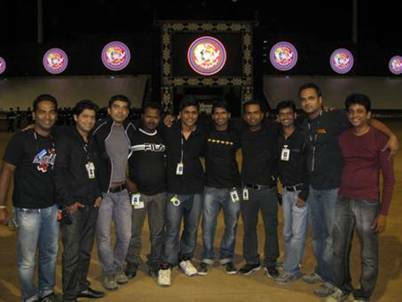 Its actually the people that made all the difference to the project. We would also like to thank Viraf Sarkari, Andre Timmins, Aman Anand and Team Wizcraft who had faith in our ability to deliver a great show. 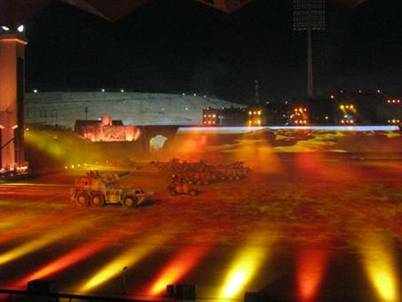 A truly memorable event for the Omani people and for SOUND.COM.